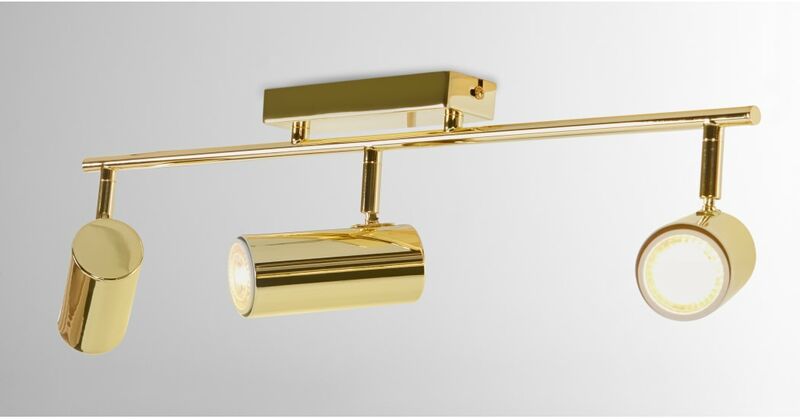 Available in brass or copper, the Obie spotlight bar is a shining example of chic industrial design. Whichever finish you choose, your light will be the perfect addition to your home. Obie's a dose of design that's easy to add to your room. Choose from floor and table lamps to spotlights in warm metallics, and let the Obie collection's refined style take centre stage. Obie's three lamps can be adjusted invidually to point in the direction that best lights up your space. All hanging from a slim, metal-plated bar.